There are no bad reasons to insulate your garage door. Insulation offers temperature control, for both your garage and your home if the garage is attached. Steel backed insulation can make your garage door stronger and hold up better to wear and tear. Insulation is a great sound barrier. This is great if you live on a busy street, or if you use your garage for working, working out, or any other purpose. There are some challenges to insulating your garage door to be aware of. Adding insulation to your garage door adds weight. This means that your garage door system is affected. When you add insulation, you have to check and adjust your tension on your torsion springs to help support the extra weight. If the door is too heavy for the settings on your springs and the force setting on your garage door opener, they will work overtime and eventually break. If you understand how your garage door system works, then installing insulation and making the necessary adjustments is easy. If you aren’t so sure how to adjust the settings on your garage door system, then after installing the insulation, call a professional garage door company to make any needed adjustments so your garage door can operate safely. Most garage door companies are also able to install the insulation for you. They are a great resource for what insulation is best for your door and your needs and can buy the proper amount to cover your door. If you’re in the Houston area, give Perfect Solutions a call and we can get your garage and garage door insulated properly to help keep you cool in the hot summer and save on your energy bills! It has become popular to use garage doors recently outside of a traditional residential application. Many restaurants and businesses are using gargae doors as part of the overall design and structure. 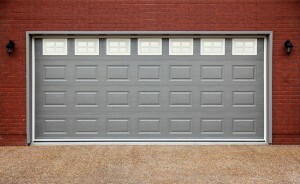 One reason is because garage doors are inexpensive as compared to other building materials. They are also easy to use and install. Plus, garage doors provide the industrial vibe many places are going for. Below are 4 ways to use garage doors for non-residential and commercial use. Many businesses can now enjoy the same benefits homeowners enjoy with their garage doors, like insulation, easy maintenance, security, and style. Insulation helps to regulate temperature in a space, and can lower cooling and heating bills. Offices enjoy the benefits of an insulated door at a lower price! Garage doors are easy to maintain. Plus, there are special companies that deal specifically with garage doors, so it’s easy to find a tech who can help with any issues. Garage doors don’t need to be painted regularly, which is a must in office spaces. Plus all the parts on a door, unless subjected to extreme weather conditions, are not prone to rust or denting. Garage doors are also a fun way to divide up a space or a room. Garage doors can provide privacy for a conference room or for parties. Garage doors are built to have soundproofing as well, so it doesn’t require padding and other expensive soundproofing features. Normal doors or those big stainless steel pull down doors, don’t provide as much security as a garage door can. Garage doors are built with strong nuts and bolts, so breaking in is harder on regular doors. 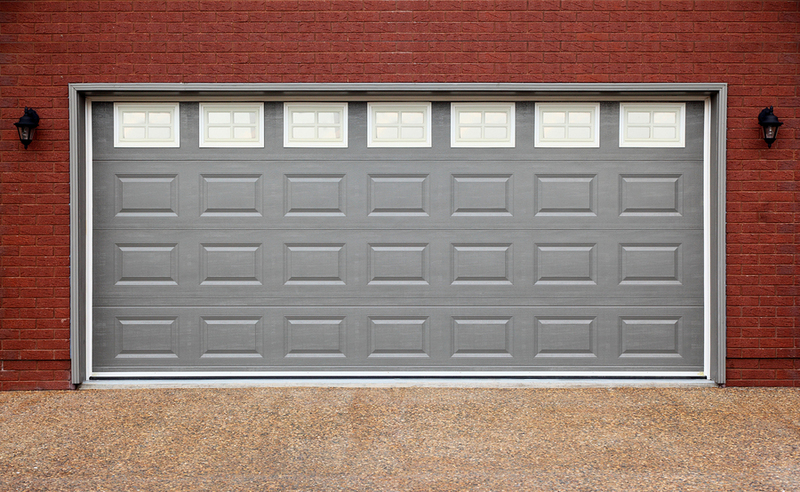 Garage doors are also made with much stronger materials than a regular door, and even a stainless steel gate. Garage door materials are typically steel, aluminum, PVC and fiberglass. Additionally, new garage door models have many security features built in, including CCTV cameras and locking mechanisms to control with your smartphone. This is great for businesses to watch over their property if they are away. Garage doors can also be installed with alarm systems, which work like it would in your home. If a break-in is detected, the police will be notified. While design doesn’t impact security or function, it’s an important consideration for a lot of people. Industrial spaces or any office or business looking for a fun and quirky modern feel can enjoy a garage door for both style and function! Garage doors can serve many purposes, not just to hide your car from the street! They provide security, are cost-effective, low maintenance and are stylish. Any garage door company is qualified to install garage doors. Ask them about commercial applications!